We all learn in grade school that lightning seeks the highest point, and on the water that’s the top of the boat — typically a mast, antenna, Bimini top, fishing rod in a vertical rod holder or even the tallest person in an open boat. If possible, find a protected area out of the wind and drop anchor. If the boat has an enclosed cabin, people should be directed to go inside and stay well away from metal objects, electrical outlets and appliances (it’s a good idea to don life jackets too). Side flashes can jump from metal objects to other objects — even bodies — as they seek a path to water. A conventional lightning-protection system consists of an air terminal (lightning rod) above the boat connected to a thick wire run down to an underwater metal ground plate attached to the hull — large metal objects like tanks, engines and rails are also connected. New studies suggest multiple terminals and multiple ground paths work better. An open boat like a runabout is the most dangerous to human life during lightning storms, since you are the highest point and most likely to get hit if the boat is struck. If shore is out of reach, the advice is to drop anchor, remove all metal jewelry, put on life jackets and get low in the center of the boat. Definitely stay out of the water and stow the fishing rods. If all goes well, the storm will blow past or rain itself out in 20 to 30 minutes. It’s best to wait at least 30 minutes until after the last clap of thunder to resume activities. A smartphone ­coupled with real-time National ­Oceanic and ­Atmospheric ­Administration (NOAA) lightning tracking ­information can make a powerful tool for ­avoiding storms. Some apps will even notify you if there is a strike near any of your ­designated areas. Do an Internet search for ­“lightning app NOAA” — there are a number of iPhone and Android apps available. A little early warning could give you just the time you need to make it back to shore and seek shelter. Knowing what to do in a storm and having the best lightning-protection system installed on the boat is by no means a guarantee that lightning won’t strike. Check for unconscious or injured persons first. If they’re moving and breathing, they’ll likely be OK. Immediately begin CPR on unconscious victims if a pulse and/or breathing is absent — there’s no danger of being shocked by someone just struck by lightning. 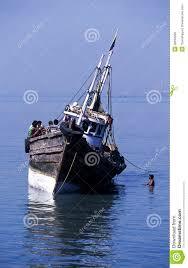 In the meantime, have someone check the bilges for water. It’s rare, but lightning can blow out a transducer or through-hull — or even just blow a hole in the boat. Plug the hole, get the bilge pumps running, work the bail bucket — whatever it takes to stay afloat. An emergency call on the VHF is warranted if the situation is dire. If the radio is toast, break out the flare kit. Lightning seeks the highest point, and on the water that's the top of the boat. Obvious damage will need to be assessed and set right. Even those lucky enough to come away completely unscathed after lighting storms, with no apparent damage should have a professional survey done just to be sure. Minor damage to through-hulls can result in slow leaks, and all manner of electrical wackiness can emerge — sometimes much later. It’s best to catch these issues right away and get that information to the insurance folks for coverage. Is Just a Ground Plate Enough? An immersed 1-square-foot ground plate with hard edges creates a low-resistance path for lightning current to flow through (instead of through the boat or its crew!). But expert Dr. Ewen Thomson) believes multiple rods and near-water electrodes provide better protection. Reasons for list, and how to alleviate the problem. I’m often approached with questions concerning lean and list and heal. 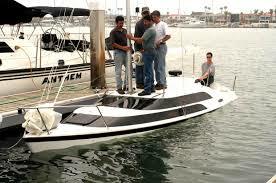 A boat not riding on its lines is dangerous, and very uncomfortable, not to mention its maneuverability is curtailed. Here are some reasons for list and some things you can do to alleviate the problem. If your boat lists at rest, there is too much weight on one side. It could be gear or it could be water trapped in a stringer bay. Suggested Solution: Investigate. Take inventory. Rebalance supplies; reposition crew if underway. Address water ingress and drain or dry. It’s normal for a right-hand-turning prop to cause listing to port in a single-engine application. The reason is that a prop is most efficient in the upper, down-moving quadrant of its rotation (between noon and 3 o’clock for a right-hand propeller) and so creates more lift on the starboard side; thus the boat lists to port. Suggested Solution: Trim out more once on plane. The further from perpendicular to the boat the rotation gets, the less listing leverage it can exert. Use a prop with more pitch (within rpm limits). V-hulls can tend to lean to windward. This results from turning slightly into the wind to maintain a straight course. Also, prop torque results in more lean than on flatter-bottomed boats. Suggested Solution: Shift supplies or crew. Use trim tabs. Alter course (if possible). Running with the drive trimmed in exacerbates prop torque. I came across this article about Memory Tricks for us, you guys have any more to add? Every skipper should know those little memory tools that may help keep you safe at sea. , sailors take warning” allow boaters to recall when and where precautions are necessary. useful for associations with safer navigation. Having trouble remembering which side of your boat has the red light? Port wine is red, starboard green is keen. perfect safety or go ahead. bed or in the head). boat lights, or Green over white, trawling tonight. Tugboats with tows have another set of lights: White over white, short tug/tow in sight, and White over white over white, long tug/tow in sight (a short tow is under 656 feet). Sound signals take on a new urgency in crowded sea lanes (such as the approach to a busy harbor) and in bad weather. Commit these to memory: Blast quite short, turn to port and Double blast, starboard pass. The universal danger signal is Blast quick five to stay alive. Rain before seven, fine before eleven; A sudden storm lasts not three hours; The sharper the blast, the sooner ‘tis past; A rainbow afternoon, good weather soon; and Winds from the East are neither good for man nor beast. Boat water tubing can be extremely fun if you follow the proper boating safety tips. Tubing behind a boat can be the equivalent of an exciting roller coaster ride. It comes with thrills and spills. Last year, tragedy struck. It was a perfect evening on Skaneateles Lake— no wind, not a lot of boats and rather hot weather— until two members of a family were rushed to the hospital after a boating accident. The Onondaga County Sheriff’s Office released more information on the investigation into the July 8 accident which left 8-year-old Kaelynne Driscoll critically injured with loss of limbs. Her father, Christopher Driscoll, was not seriously injured. The two were hurt after they were hit with the boat’s propellers while water tubing. Luckily two good Samaritans were available to rescue them and get them to shore in time before this story turned fatal. Water Tubing is fun but can also be risky if you and the boat driver don’t follow some important safety rules. Here’s a quick list of some safety tips to remember. Wear an approved life jacket – Also known as a personal flotation device (PFD), a PFD is just a common sense precaution. Knowledge of your Tube – It is important to know and understand the characteristics of the tube or towable that you’ll be using. Know its limitations and its features. Tube Rider – If you are driving the boat, know the abilities and fears of your tube rider. Don’t push the limits with their abilities and fears. Try to give them an exciting ride with the parameters of what would be enjoyable for them. You don’t want this to be a bad experience. Boat Spotter – Rely upon a mature and alert spotter in your boat, who can watch for any obstacles in the water, and be able to communicate with your tube rider. Know the Regulations – Be familiar with the regulations for the body of water you are boating on. Know the speed limits and other rules or policies and follow them. Be Responsible – Be alert and sober. Having a clear mind will help you to make split-minute decisions to maintain safety. Towing Rope – Use only a tow rope that is in good condition and secured to the boat. Use only the designated type ropes for towing a tube. Before Starting the Boat – Always make sure that everyone and everything is clear from the prop area, and that the people in the water are clear from any entanglements with the rope or other objects in the water. Wake Caution – Be careful when crossing wakes or other rough waters. Heading a wake or a wave at a high rate of speed can throw the boat in the wrong direction. Also take care to give your tube rider a safe ride, being cautious to not slam them hard into wakes. Strong jolts can cause back and other injuries. Multiple Tubes and Multiple People – When you have more than one tube or riders being towed at the same time, be cautious with your speeds and turns so that they do not slam into one another causing injury. Have safe fun, keeping an eye out for other boats. Traveling at safe speeds will produce a fun and safe experience while tubing. And when in the water, stay clear of the boat’s rear and other boats which may be in the area. Want to get where you are going safely? Here's an excerpt of a great article from BoatUS. I repeatedly am asked and always advise everyone to wax their boat at least once a year. But how can you do that if it's sitting on the trailer? Is it OK to skip the parts covered by the bunks? Yes, it is OK. It's most important to wax the sides and deck to protect them from hazing, color fading and chalking from the sun. Some people think waxing the bottom makes it go faster, but experienced performance boaters know a waxed bottom makes surface tension greater and increases drag. I just finished waxing my boat with a $25 Ryobi orbital buffer and a $20 bottle of Star Brite Cleaner Wax with PTEF. It took about 90 minutes, with time left to do the wife's truck. You can't give your boat hair plugs, Botox injections, or liposuction, but you can give it a face-lift. Want to float Mom's Mink in the Fountain of Youth? Here's a list of dos and taboos that will shave years off your boat's appearance and prevent premature aging. Bald Ain't Beautiful. Think of canvas, clear plastics, and vinyl as your boat's hair. Without it, your boat will look older than it is. Make your boat look years younger by replacing all of its canvas and cushions. Wax to the Max. Keep your boat's skin-its gel coat-looking young. How? Start with a double coat of wax every spring; this is your boat's sunscreen, which will protect its skin and make contaminants wash away easily. Follow up with thorough washdowns after every outing-use a boat soap that contains carnauba wax for extra shine. If the gel coat looks old, chalky, and dingy, rejuvenate it with an anti-oxidation agent such as Meguiar's #49 heavy-duty oxidation remover ($13). Yellow water stains and discoloration can be removed with Davis FSR stain remover ($13;. If your colored gel coat is screaming for rejuvenation, contact the manufacturer and ask what brand of gel coat was used and if it can be helped. In many cases, colored gel coat can be wet-sanded until it shines like new, but some brands will just be harmed more if you hit them with sandpaper. There's the Rub. Replace your boat's rubrail insert to get rid of its scuff marks. This job is simpler than you'd think. A hair dryer can be used to heat most rubberized rubrails. As they become flexible, they easily pop out of their slots. A new insert can then be pushed into place. Hit the Deck. The older your boat's deck is, the more it cracks, and these cracks show a boat's true age. Spiff it up by coating the deck with a liner, such as Rhino Hide's Flexible Tuff Hide II ($159/50 sq.ft. ; www.rhinohide.com). We used this stuff to rebuild an old Boating project boat, and the liner looked better than the boat's original gray-and-white speckle finish. Plus, the coating contains rubberized beads that make a surface completely nonslip. Burn Baby Burn. The sun isn't the only thing that causes skin damage-caustic cleaners or products containing bleach age gel coat fast. Minimize the use of these cleaners. If you must use them, make sure you rinse your boat well afterward. Cowl Abuse. Sitting an engine's cowl on the ground upside-down is the number one mistake made by outboard owners. Even on wooden dock planking, the cowl's finish will get scratched or scuffed, instantly aging it. Cloudy Vision. Clear plastic curtains and windscreens can also dull with age, which will be worsened if you use ammonia-based glass cleaners on them. Easy Does It. Abrasion makes any boat look old, too. The main culprit is that innocent-looking scrub brush. Using a stiff-bristle brush on glossy surfaces, such as gel coat, outboard finish paints, and vinyl decals, will eventually scrub their gloss away. Use a soft-bristled brush, sponge, or rag to clean anything aboard your boat that's smooth and shiny. A navigational hazard is pretty clearly defined as something you might hit on the water. 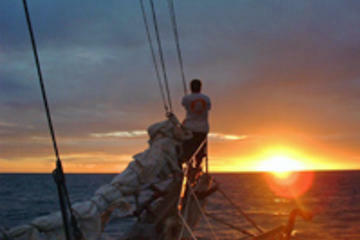 A "hazard to navigation," however, could very well be the person at the helm. Insurance claims files show that one of the most expensive claims — as well as one that frequently causes significant injuries — is when a boat hits something while underway. Investigations show that these incidents are almost always avoidable simply by using some common sense and exercising some basic skills. It was a sunny, calm day with unlimited visibility, a buoy was hit. How did that happen? The answer, according to the owner and skipper, was "his new polarized sunglasses." He was looking at his navigational display, and the polarized lenses of his sunglasses made the screen difficult to read. With his focus distracted, he hit the buoy. Forget the fact that the buoy was bright red and dead ahead for a mile or so as he approached. Strange things happen on the water, right? Sure, but this incident got me thinking that not all navigational hazards are outside the boat. The more I see helms filled with an array of gadgets, the more I harken back to the good old days when we had a compass, perhaps a depth sounder, and a knot meter. The simple helm — most of today's wonderful technology had yet to be invented — forced us to focus. It made us keep a proper lookout. It made us plan ahead. Technology can only take you so far. You, skipper, need to know what your boat is and isn't capable of. Is your vessel, to put it in legal terms, fit for its intended voyage? Is your boat suited to navigating offshore? How much rough weather can your boat handle? Are you GPS- and radar-equipped? One thing obvious to people in my line of work is that the primary cause of most, if not all, accidents involving collisions (hitting something moving) and allisions (hitting something stationary) is human error, poor decision-making, and complacency.